"Nathan -- what is that?" Ashley's voice wobbled precariously. Nathan's shiver subsided as curiosity won out over his fear. "I don't know, Ash, but I intend to find out." He marched down into the clearing, ready for whatever monster or madman was about to jump out from behind the long grass. The sand was thick and soft under his feet, making a quick approach impossible. As he reached the long grass, Nathan ducked -- evasive action to avoid being hit by another flying sheet of sand. He pushed the grass aside and saw a large, grey, shape flat against the sand. It was neither a monster nor a madman. Nathan breathed a sigh of relief and willed his racing heart to slow to normal. He began to laugh. His fear of the unknown had almost got the better of him. "Ashley! Come on down here. It's okay," he managed between spurts of laughter. Ashley raced down the dune and across the clearing. He arrived just as another sheet of sand flew through the air -- and it hit him squarely in the head. "Ugh!" he cried as sand filled his hair, mouth and ears. He shook himself to dislodge the sand but it trickled down beneath his t-shirt. "What is it?" Nathan laughed so hard that he collapsed onto the sand. "A turtle!" he screeched, rolling about on the ground. "It's a turtle." Ashley wasn't impressed. "A turtle?" He shook the last of the sand from his hair. "What's it digging for?" "It's nesting," Nathan explained. "Turtles come ashore and dig holes to lay their eggs in." "Oh," Ashley still wasn't impressed. "I thought it was going to be really exciting, like a pirate digging for treasure or something." "It is exciting," Nathan replied. "Turtles usually nest up north, near Bundaberg. 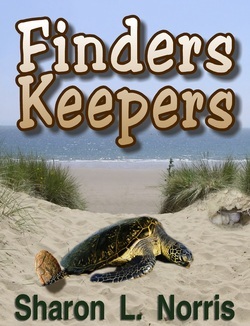 Burrigan's Beach isn't a known turtle rookery." He got up and pushed his way through the thin veil of grass. "Come on. If we can find a spot where we won't get hit with sand, we can watch her dig the hole and lay her eggs." "Maybe she hit a rock or something," he said. "I'll take a look." He moved behind the creature and knelt on the still-warm sand. The turtle stopped for a brief rest, and Nathan saw his chance. He looked down into the hole and saw a strange shape protruding from under one of the turtle's flippers. The blanket of dusk that had settled over the area made it impossible to determine what the object was. There was only one thing Nathan could do -- reach inside and remove it. "Here goes nothing!" He held his breath as he reached into the narrow gap between the turtle and the sand. His hand touched something cold and hard and he jerked back. His heart pounded so hard he thought it would burst. "What it is, Nate?" Ashley called. "I don't know!" Nathan gasped. "I don't think it's a rock." "Buried treasure!" Ashley shouted with glee. "Blackbeard's box o' gold!" "You reckon?" Nathan's laugh was shaky. "No way! Blackbeard didn't come to Australia." Drawing on every ounce of courage he had, Nathan slipped his hand back into the hole. His fingers closed around the object and he pulled hard. To his great relief, the object dislodged from its sandy tomb. Nathan withdrew his hand from the hole. He couldn't believe what he was holding. It was a huge egg. The turtle resumed digging, so Nathan scurried out of the path of flying sand. 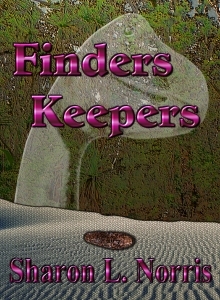 He joined Ashley at the head of the turtle and sank to his knees to examine his find. "An egg?" Ashley's voice rang with disappointment. "Great treasure that is! Really egg-citing! Egg-cellent!Not!" Nathan examined the egg closely. It looked nothing like the garden variety chicken egg his family usually bought. This egg was many times the size of an ordinary egg. He tapped it, surprised to find that the slightly wrinkled surface was rock hard. What kind of egg was this, he wondered. A chicken egg? Never. Not unless the chicken was the size of a horse -- and that was impossible! An emu egg? No. It was much bigger than that. What kinds of animals laid eggs? Nathan tried to remember what he'd learned at school. Mammals? He wasn't sure. Reptiles? Yes, but not this big. Ashley's chatter broke through Nathan's thoughts and dragged him back to the present. "You're the eggs-pert, Nate! What laid that egg?" Nathan rose to his feet, cradling his find in his arms. "I think it might have been a dinosaur."